The festive season was a time that Mum planned meticulously and she revelled in being with her family. This Christmas her absence is deeply felt and I would give anything to have her back. I was at university in Liverpool when Dad rang to tell me Mum had been diagnosed with frontotemporal dementia. I didn’t have any internet in my flat so I remember going to my student library and typing in ‘frontotemporal dementia’ and sitting there in floods of tears. That was May 2011 but some members of the family started noticing changes in Mum back in 2008. She became quite distant and locked herself out of the house a few times. By 2010 her behaviour was far more erratic and we were frequently taking her to her GP. We were all devastated when she passed away in October this year. Mum’s diagnosis was the first time I had come into contact with dementia. My family didn’t know what to expect; we were simply told it could be 2 – 10 years life expectancy and that there was no specific treatment for frontotemporal dementia. Before Mum became ill she was the heart of our family. She worked as a teaching assistant with children with learning disabilities and was very popular at the school. She was warm and loving and used to enjoy planning family get-togethers. When I went to Uni I remember Mum coming to see my room in student halls. She bought me a lamp and a bin and a few other things to get me settled in and that’s really one of the last memories I have of her taking that motherly role. I started to see the changes in Mum when I would go home to visit. She used to be very house-proud but the house had got a bit dirty and she was regularly burning dinners, locking the dog out for the whole day or leaving a shop without taking any of her change. A year before her diagnosis Mum was put on antidepressants but these made her behaviour even worse. By this stage her speech had also started to fade. The timing of Mum’s diagnosis was very coincidental. I had my final exam on the Wednesday and Dad phoned me on the Friday. I knew straightaway I needed to move back home to Bournemouth. I helped Dad care for Mum. Because she was so young when she was diagnosed I really wanted her to keep her sense of dignity and independence for as long as possible, so we would do painting together, go to the shops and take the dog for a walk. She lost her speech about four months after she was diagnosed and as time went on we needed to get a carer in to help. The decision to put Mum into a home was one we had been thinking about for around eight months before it happened. She was very frail by this point and it was an incredibly difficult thing to do. She passed away just a few months later. I miss Mum every day and I want my family’s experience to help raise awareness of not just the disease, but the chronic underfunding of research. After receiving her diagnosis it was devastating to know there wasn’t a specific treatment for her. Mum’s decline was very rapid; if there had have been a treatment that could have prolonged the time my family had left with her we would have grabbed it with both hands. Christmas won’t be the same without Mum this year. Although her swallowing was declining fast last year she still enjoyed being with everybody at the dinner table and managed to eat her whole meal, trimmings and all. It is a nice memory to have of her final Christmas, but it does little to remove the void from this year’s festive season. 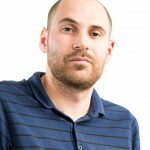 Rob Perry is an Alzheimer’s Research UK media volunteer. 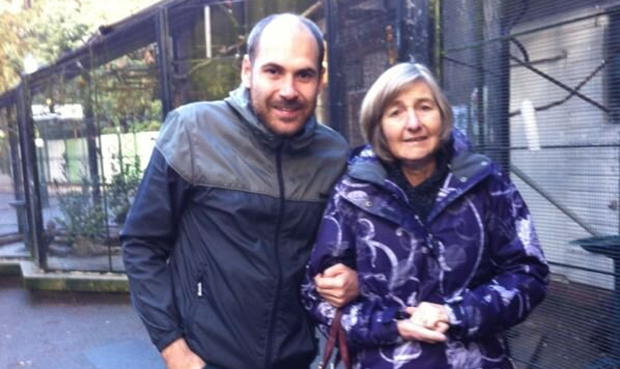 His mum, Sandra, was diagnosed with frontotemporal dementia in 2011, aged 52, and sadly passed away in October 2013. 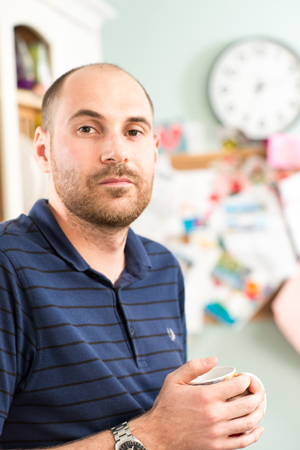 Rob helped care for his mum and is determined his family’s experience will help raise awareness of the desperate underfunding of dementia research. So sorry for your loss Rob Perry but thank you for helping raise awareness of this dreadful disease by sharing your story. Thank you for this post Rob. I am sorry for your loss. My mum passed away 2 years ago. She had Parkinson’s Disease along with Dementia so the last 3 years of her life were so difficult for her but also for my dad, who cared for her full time. The more we can do to raise awareness of this terrible disease and the lack of funding into research, the better, so thank you. It’s the same for us Rob, even to the October 2013 bit. Hope it gets better for us all, wishing you well. God Bless.